The day-to-day operations of City Hall are managed by the Administration Department, which includes the City Administrator, Assistant to the City Administrator and Assistant City Administrator. Also included in the Administration Department is Community Relations. 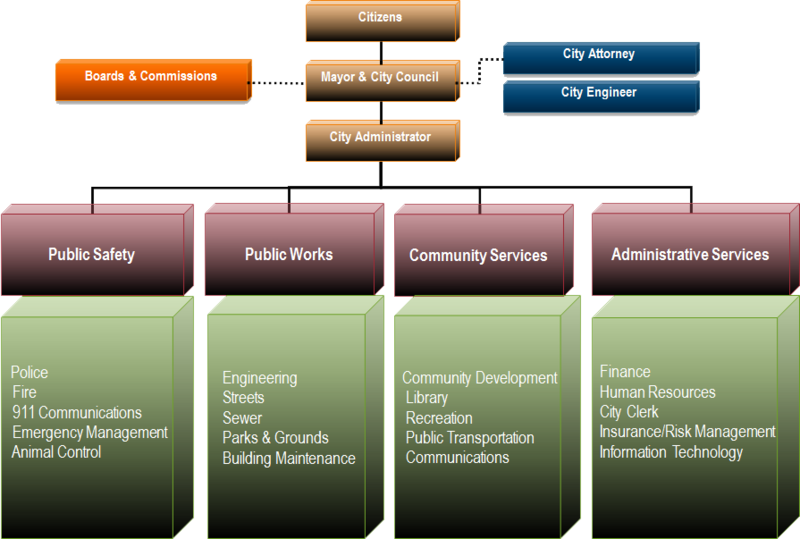 Below is a glimpse at the City's organizational chart.